Stephen Biggs born on 30 May, 1827 to James and Susannah Biggs. He was baptised at St Mary’s Teddington on 30 May 1827. His father, James, was a farmer at Potterne, in Wiltshire. Despite its countryside location, during the 19th century Potterne was notorious for hooliganism. In 1819 his grandfather, also James, had taken on the role of Tythingman for Marston (near Potterne) leading a small group of approximately 10 neighboring families in what was an early form of community policing in an attempt to maintain law and order. Source: Potterne Court Rolls 1719 – 1861 (source Bishoprick 257/5). The problem was ongoing during the 19th Century and it was officially recorded that ‘This parish of Potterne’, wrote the Assistant Commissioner, ‘is filled with a very discontented and turbulent race’. (Source: A History of the County of Wiltshire: Volume 7. Originally published by Victoria County History, London, 1953.). 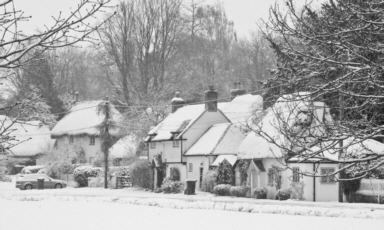 James and Susannah left Potterne and with the arrival of their second son, Alfred, in 1829, the family had moved to Amport in Hampshire, a small village, a few miles west of Andover. There is a village green which is surrounded by thatched cottages. The village lies in the valley of the Pillhill Brook, a tributary of the river Test, a chalk stream famous for its trout-fishing and pleasant country side. It was in this picturesque location that the family were to make their home for over ten years and even recent photos show a beautiful place to raise a family. In the 1841 census, his father, James, was employed as a baker (other records show his occupation as a miller) and the family had increased in size with the addition of two sisters. Ellen was born in 1831 and Anna in 1933. Stephen and his siblings would have been educated at Amport village school which was built in 1812 . It was well endowed by a charity established by the Sheppard family and enabled the children of the parish to learn to read, write and learn their Catechism . The school log books dating from 1878 record the work of six head teachers. As with most middle class males of that period Stephen’s education would have been completed by the time he was around 15 years of age and it appears he sort employment in a solicitor’s office. As a junior in the office his duties would have included copying letters, indexing papers, addressing envelopes, clearing trays, carrying and fetching messages, keeping the correspondence book, besides duties of a more servile nature, such as making up the fire. By 1851 the census shows that Stephen was residing in lodgings at 10 Harmer Street, Gravesend and working as a Solicitors Managing Clerk. His work would have involved handling wills and conveyancing (the transfer of property) and generally performing other legal tasks at their offices. It is most likely that he was a salaried clerk as his family is unlikely to have had the money (around one thousand pounds) needed to establish him on the path to a legal career as an articled clerk. There are several grades of lawyer’s clerks. There is the articled clerk who has paid a premium, and is an attorney in perspective, who runs a tailor’s bill, receives invitations to parties, knows a family in Gower Street and another in Tavistock Square, who goes out of town every long vacation to see his father, who keeps innumerable horses, and who is, in short, the very aristocrat of clerks. 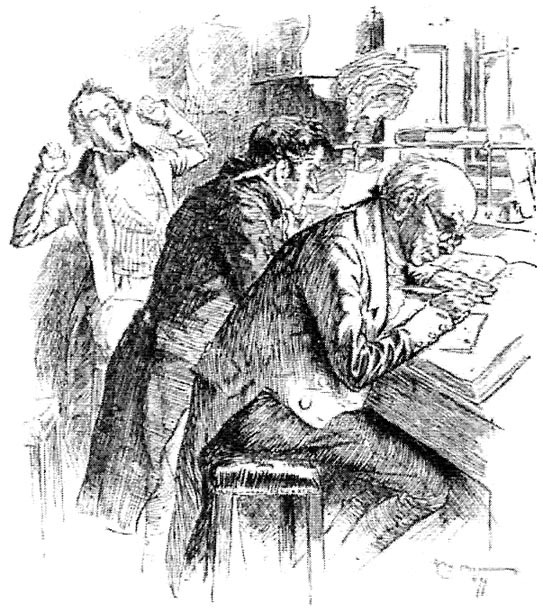 Then there is the salaried clerk — out-of-door or indoor as the case may be — who devotes the major part of his thirty shillings a week to his personal pleasure and adornments, repairs half-price to the Adelphi Theatre at least three times a week, dissipates majestically at the cider cellars afterwards, and is a dirty caricature of the fashion which expired six months ago. Then there is the middle-aged copying clerk who is always shabby and often drunk, and there are the office lads in their first surtouts, who feel a befitting contempt for boys at day schools, club as they go home at night for saveloys and porter, and think there’s nothing like life. Stephen would have seen his life as a clerk stretching before him, bent over his desk, gradually becoming visibly round shouldered and more stooped with the passing year like many of the other older clerks (Ref: Charles Wing writing about work related disability in “The Lancet” in 1836). As Gravesend was the Thames’ first port of entry with a constant bustle of trade and departing emigrants all the gossip and tales of opportunity and adventure would have fired Stephen’s imagination as he took his evening meal in the local tavern. He undoubtedly realised that here was the possibility of a life that offered a much better future. Along with his brother, Alfred, they emigrated to Australia in the mid 1850’s. It has not been possible to find a passenger record for either of the brothers but by 1858, Alfred had established his own business as a butcher on Waverley Road, in the Eastern Suburbs of Sydney (Sands Directory 1858). Stephen does not appear on any records until his marriage to Margaret Henderson in January 1959. He is described on their marriage certificate as a gentleman, meaning he had an income derived from property, a legacy or some other source, and did not need to work. The brothers may have received some money from their mother’s inheritance on the death of her father (Will of William Chandler. Probate date 17 Dec 1840.The National Archives; Kew, England; Prerogative Court of Canterbury and Related Probate Jurisdictions: Will Registers) that would have assisted them to start their new life or possibly from their grandfather, James Biggs, who died in 1852 (no record of will found as yet). Their time at Strawberry Hills was short lived with unregulated, unrestrained low-cost housing being developed in the area and its subsequent poor sanitary conditions proving unsatisfactory. By 1861 Stephen had returned to work as a law clerk and on 12 September 1861, their second daughter, Anna Susannah, was born at Snails Bay, Balmain, later records show the address as Wharf Road. Two more daughters were born while they lived at Balmain. Alice Mary was born on 22 Sept 1863 and Caroline Elizabeth was born in June 1865. By the time their third daughter, Jessie was born in 1867 they were living at 2, Carlton Villas, South Head Road, Woollahra. In advertisements during this period the Villas were described as commodious residences with eight rooms, a fine view, and front garden. By 1869, with five children under ten, it would have been a very busy household and his wife was pregnant with their sixth child. In the afternoon of the 4 January 1869 their three year old daughter. who had been with her father, decided to go to her mother to get some bread and butter. Caroline disappeared before she reached her mother and despite an extensive search was not discovered until the following morning, when she was found drowned in the water closet. The loss of their daughter and subsequent inquiry would have been horrific for the family. It is not surprising that seven months after the death of their daughter, when their first son, Frederick, was born, that the family had moved to Darlinghurst. More difficulties were in store for the family. Within two years of their move, their daughter, Anna, now ten years old was diagnosed with rheumatoid arthritis. She was to become completely immobile and bedridden until her death in 1907. Two more sons were born, Henry in 1871 and Charles in 1873. Emily was born in 1877 and followed four years later by their last child, a son, Francis. Religion played a significant part in the family’s life, not only providing a strict moral framework but also support in dealing with the difficulties of life. They belonged to St Thomas Church of England at Enfield but also had connections with the Wesleyan Church. A record of a fund raising drive for the widow and children on the death of Reverend Olden, a highly regarded minister of the Wesleyan Church, showed the family had made significant donations to help support his family. The next major record of a family event is of their daughter, Jessie, becoming a pupil teacher at Surrey Hill Public School in 1882. She was to continue her teaching career until 1891 when she resigned from her position at Gulgong that she had held for two years. In 1893, the family celebrated her marriage to Joseph Francis Wearne (BMD 6045/1893). Jessie moved with him to Manilla where he was a successful timber merchant, alderman and later to become mayor. By 1890 Sands Directory records Stephen as an accountant and the family as living at Thames Villa, 40 West Street, Petersham. As only Jessie and Francis were to marry it was to become the family home until the 1920s In a valulation of the property in 1912 it is described as a detached house of brink, front cemented, other outside walls painted, slate and iron roof, verandah and balcony in front, and containing hall, 6 rooms, bathroom, pantry, kitchen and wash house. It was valued at £650. This description does not match the house at this address and it is likely that there was a realignment of house numbers. By 1921 the family address on the electoral roll is 50 West Street and the address of the suburb varies between Petersham and Lewisham on subsequent rolls. In 1906, their youngest son, Francis married Sarah Shepherd. Sarah was three months pregnant when they eloped, so it is not difficult to imagine the concern this would have created in the family especially as the marriage would not have been regarded as suitable given the differing social class and background between the families. It is not known if Francis reconciled with his parents although he was not excluded from his father’s will and he received substantial support from his family especially in caring for his youngest sons when his wife was committed in 1937. The sisters, Ellen, Alice and Emily remained at home undertaking domestic duties and caring for their sister, Susannah until she died in 1907 and their parents, Stephen had become senile in his old age, until their deaths in 1912. Ellen died suddenly just one year after her parents in 1913. Alice and Emily also helped to raise their brother’s two youngest sons during the 1920’s. Of the brothers, only Charles remained at home, working as an ironmonger. Henry preferred the life of a bushman, undertaking casual labouring work until he enlisted in WWI, returning from the war front shell shocked and spending the rest of his life in Callan Park. Frederick left home but has been difficult to trace, he may have been a travelling salesman for a piano company but more research will be needed to confirm this. Stephen died at his home at Thames Villa, 40 West Street, Petersham, from a cerebral haemorrhage and cardiac failure on 6 June 1912. He was 85 years of age. He is buried at St Thomas Church of England Cemetery, Enfield. It was only four weeks after his death that his wife Margaret died. She is also buried at St Thomas at Enfield. The whole of his estate passed on equally to his wife and all his children and was valued at almost £2500 which included the family home.